About Us – And About You, Too! In case you’re wondering how Conscious Girlfriend came to be, here are our stories. 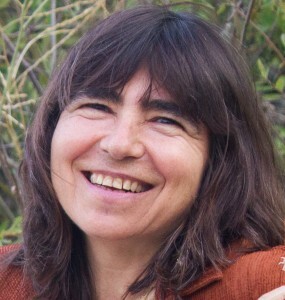 Ruth L. Schwartz, Ph.D. co-founded Conscious Girlfriend in 2013. A writer, healer and teacher for over three decades, she has a Ph.D. in Transpersonal Psychology, and studied relationship coaching with world-renowned experts Gay and Katie Hendricks, bestselling authors of Conscious Loving and many other books. Ruth is also a proud two-time graduate of the Somatica Institute training program, in which she learned powerful tools for body-based, experiential coaching around sexuality and intimacy. Ruth also has extensive training in energy medicine, shamanism, hypnotherapy and trauma healing. 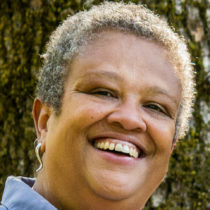 Author of eight books, including Soul on Earth: A Guide to Living & Loving Your Human Life, and co-author (with Michelle Murrain) of Conscious Lesbian Dating & Love, Ruth has taught at seven colleges and universities. She lives in Oakland, CA, and works with clients and students worldwide by phone and Skype. Ruth says: “Sure, the credentials above sound good – but what really matters is, do the dating, relationship and intimacy skills I teach actually work? And do I walk my own talk, not just in the classroom, but 24/7 in my own relationships? “Hundreds of women will tell you that Conscious Girlfriend has changed their lives, and that makes me very happy. But to be honest, what matters more to me is the fact that I do show up and practice what I preach. Every single time I clearly ask for what I want, set a boundary in a loving way, or turn a potential fight into a healing conversation, I marvel all over again at how far I’ve come. “It’s kind of a miracle, really. Like so many of us, I grew up with lousy relationship role models. So for my first few decades as an adult, though I loved hard, I often didn’t love well. Instead, I dove in too fast, ignored red flags, chose the wrong women, started fights, co-created destructive patterns (like turning myself into a resentful caretaker over and over, and then being frustrated that my own needs weren’t getting met) — and more. Michelle Murrain, Ph.D., was a co-founder of Conscious Girlfriend and the co-creator of many of our programs. Michelle has a Ph.D. in Neuroscience, a 30+ year Buddhist meditation practice, and attended seminary. She brought a unique combination of scientific, spiritual and technical knowledge to Conscious Girlfriend, with particular passion for helping women, especially women of color, develop self-love and self-compassion. Michelle/Max says, “My own journey to becoming a Conscious Girlfriend was pretty tortured. I was in a 10+ year abusive relationship, and believed for a long time that that was all I deserved. After I finally left, my next relationship wasn’t much better. I worked hard to learn, grow and heal, and when I met Ruth, we entered into the incredible adventure of creating a relationship more conscious and healthy than any either of us had ever seen. “Ruth and I loved each other deeply and well, but something still wasn’t right. For a long time, I didn’t know what it was. It took me many years to acknowledge to myself that although I cherished the lesbian community and my place within it, internally I had always felt like a man, rather than a woman. My decades of healing and self-compassion work culminated in the very difficult decision to undergo gender transition. And now, it’s all about you. And are you ready to become a Conscious Girlfriend? A conscious girlfriend is a lesbian or queer woman who gains – or embarks on the process of gaining! – the tools, skills and understandings that lead to truly happy intimate relationships. No matter what your love life looks like now, and no matter what it’s looked and felt like in the past, we’re here to tell you that you do have the power to find and create happy, healthy love. We’re passionate about helping women become conscious girlfriends, because that’s what it takes to build and maintain relationships that are deeply intimate, passionate and joyful – relationships that “just work,” rather than feeling like a lot of work. Why “conscious?” Because becoming more conscious – more observant, more aware, more thoughtful – about what happens both inside of you, and between you and your girlfriend or partner – is a huge first step to becoming able to create your relationship destiny. In other words, being conscious is all about having more choices – and making the choices that bring you happiness, rather than drama, fights and heartbreak! Whatever you’re struggling with, we’ve been there, in one way or another – and we can help you get where you want to go! The sad truth is that if you don’t take steps to develop new skills and ways of being, your old patterns are likely to repeat… and repeat… and repeat, no matter who you meet. But once you learn how to be a conscious girlfriend, a whole different relationship world can open up for you. Singles: The path to the relationship you want starts with our ground-breaking 12-week class, The Roadmap to Conscious Lesbian Dating & Lasting Love. Women in Relationships: If you’re ready to take a conscious approach to your relationship, click here for our self-paced Lesbian Couples Communication Toolkit Class.